The Moller M400 SkyCar is being developed by Moller International, based in Dixon, CA. The M400 is the largest SkyCar made by Moller (the other 2 seat variant is named the M200). The M400 uses four ducted fans with variable incidence angle to facilitate vertical takeoff and landing. For accelerated forward flight, the fans tilt slowly to the horizontal. The Moller M400 Skycar has already been flight tested, giving it a huge advantage over a number of other VTOLs. 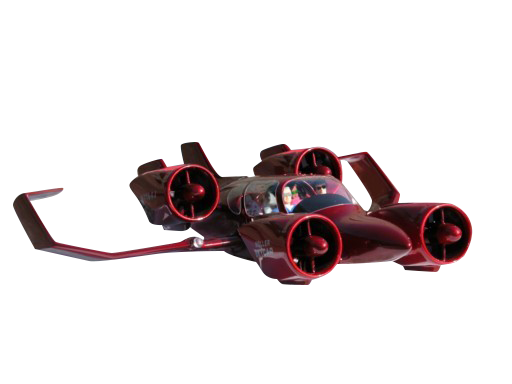 However, it uses ethanol fuel in lieu of electrical power to rotate the ducted fans, so it is not a true eVTOL. The M400 is currently being flight tested and navigating the certification process with the FAA - which will most likely be one of the largest challenges for Moller International to overcome to bring their VTOL to market.